At We Buy Books, we aren’t just searching for your oldest and most neglected books – we want any type of books! That’s right, we want you to have a really good look around for any books you might want to sell, regardless of their age. If you do, the chances are you’ll get a very good price for them if you decide to sell second hand books, right here, at We Buy Books. 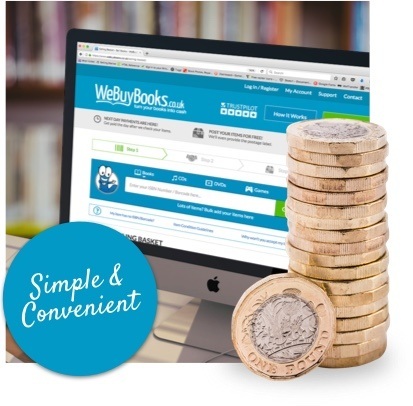 We believe that our service offers one of the simplest and most convenient places to sell second hand books online, offering an immediate value for the second hand books you want to sell. Quick and easy, the process offers as much pleasure as discovering an immersive new book for the very first time. But convenience isn’t the only advantage of sifting through your teetering stacks of books. 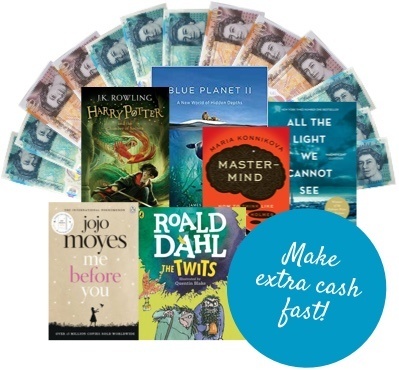 Well, now’s the chance to make some extra money by getting yourself onto the We Buy Books website and seeing what your second hand books are worth. Who knows, you may even uncover a rarity: a hidden gem that’s worth more than you could have imagined. Now, the usual rules apply here. If you want to sell second hand books, the best items are the ones that have been well loved but well preserved: respected and treated with care. 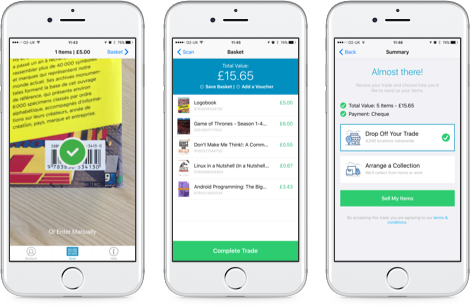 You’ll receive a much better price for neat and tidy tomes than battered and bruised books, so before you send anything over to us, make sure that you’ve dusted them down and they look the part. After all, they could end up on display in their new owners home! We know that this can be tough with well-loved second hand books – especially when they’ve been read to death – but do your best! If you aren’t sure about the state of your books, check out our Book Condition Guidelines page for more information. It’s full of information about what constitutes a defect, and the kind of minor wear and tear we do accept. 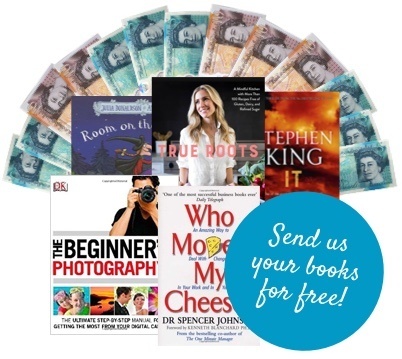 Start searching for those second hand books and make some easy money. For everything you need to know about selling second hand books, check out The We Buy Books Guru Guide To Selling Your Stuff, or call our customer care team on 01706 248281.